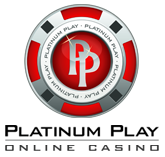 PlatinumPlay Casino are one of the oldest ”players” in the online casino industry. They’ve been launched in 2004 and are a part of the reputable Fortune Lounge group of online casinos. The variety of games you’ll find at Platinum Play will exceed just about any other casino in the industry, as the games are powered by MicroGaming – industry leading software developers. 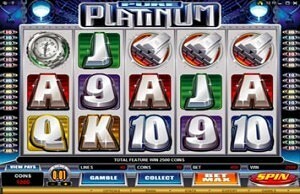 When it comes to online slots, Platinum Play feels like home as this is exactly what they are targeting. More than 200 slot titles, some of them very well known as they are created after big hit movies or comics. 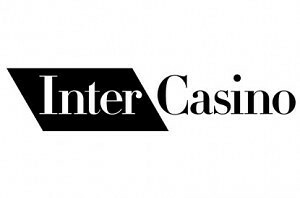 All games are also compatible with Macintosh, Linux or Windows computers and available for play either directly from your browser or by downloading the casino client. Regardless of which one you end up choosing, the gaming experience will still remain the same. Relatively recently Platinum Play Mobile Casino was also introduced. You’re now able to play your favourite games by simply entering your phone number at the appropriate page. Enough talk, lets take a look at some of the featured online slot machines that are offered by Platinum Play Casino. The Dark Knight – a slot game developed after Batman and all the main characters of the movie. It’s a 243 ways to win slot, meaning pay-lines are quite irrelevant and you’ll be able to win more often! The machine features a bonus game, wild symbol as well as a scatter and on top of all that, you can also win a 7 figure progressive jackpot! Immortal Romance – a new 243 ways to win slot machine developed after the saga movie Twilight, which ended up being a huge hit. It offers a chance to win up to 3,6 million coins, 15 free spins with up to 6x multiplier as well as Random Wild Desire feature. Mega Moolah – probably the most popular slot machine from MicroGaming’s portfolio. Mega Moolah is known for paying out some of the largest progressive jackpots out there and just last month the lucky punter won more than $5,8 million! King Cashalot – a 5 reel, 9 pay-line progressive slot game that is themed after the King Arthur. It’s an action packed slot machine featuring the wild symbol, which is King Arthur himself as well as a Golden Dragon symbol that will trigger the bonus game. Pub Fruity – a classical fruit machine game offering the most common symbols such as cherries, lemons, pears and bells. However, you’ll also be able to enter the cocktail shaker bonus game as well as a jackpot of 250x your bet for spinning 3 pub fruity symbols on an active pay-line. Join Platinum Play and claim 1,500 in Free Bets!